I love making to-do lists, but I’ve found I really only make them and stick to them if they’re on pretty paper or in a nice notebook. I also love my monthly calendar, which I use to plot everything, from projects to events to personal things I need to do. 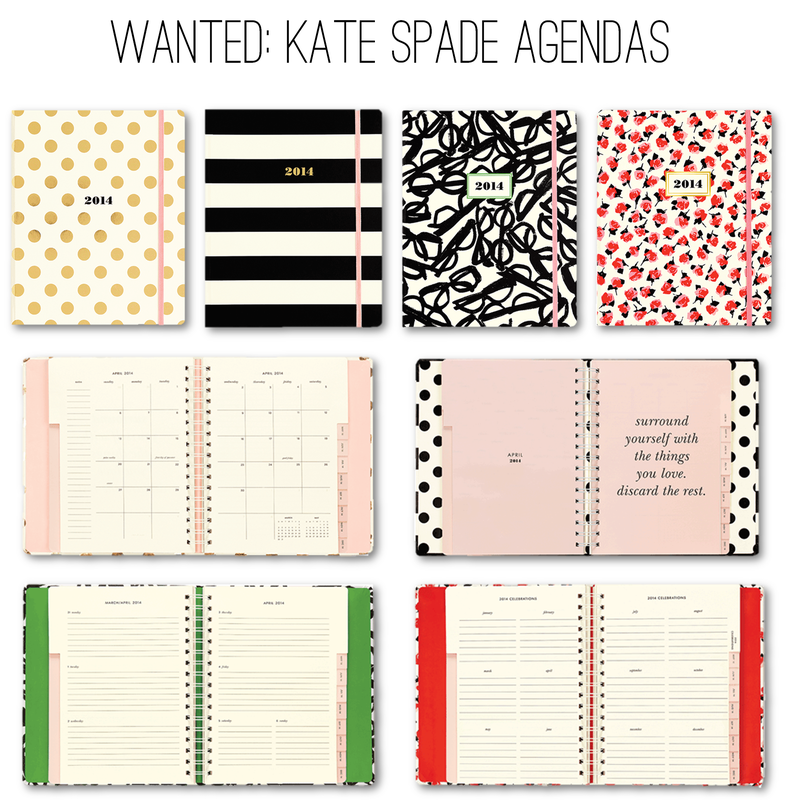 Enter the kate spade agenda: besides being from one of my favorite designers, it’s the ultimate hybrid of the two. It gives you a monthly calendar view, plus ample room for notes and lists for each day of the month, Some other nice features? There’s a section for jotting down celebrations (how kate spade! ), inspiring quotes on the monthly dividers, an interior pocket, an elastic closure, and, last but not least, gorgeous cover designs (and coordinating interiors). I’m having a seriously hard time deciding between the polka dots and stripes – which is your favorite?